With a mission to “provide exceptional healthcare with a personal touch,” Newberry Hospital constantly strives for new ground in medical science, care, and technology. 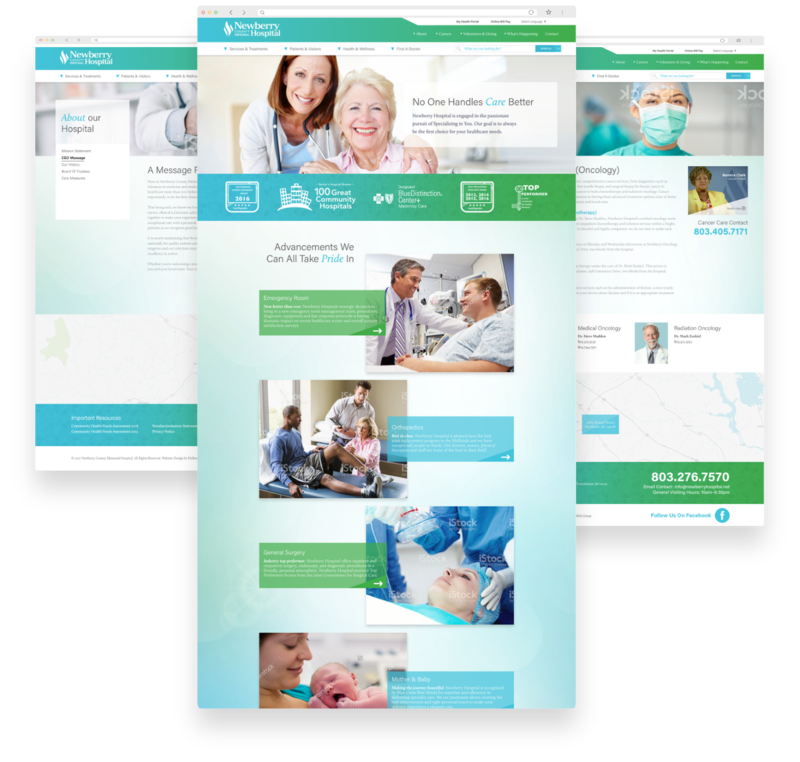 DuBose Web was proud to work with the hospital to develop a new website utilizing advanced integrations that will raise their services to the next level—all while maintaining the level of personalized care and convenience the hospital has provided since 1925. Seeking medical attention can be a difficult process. 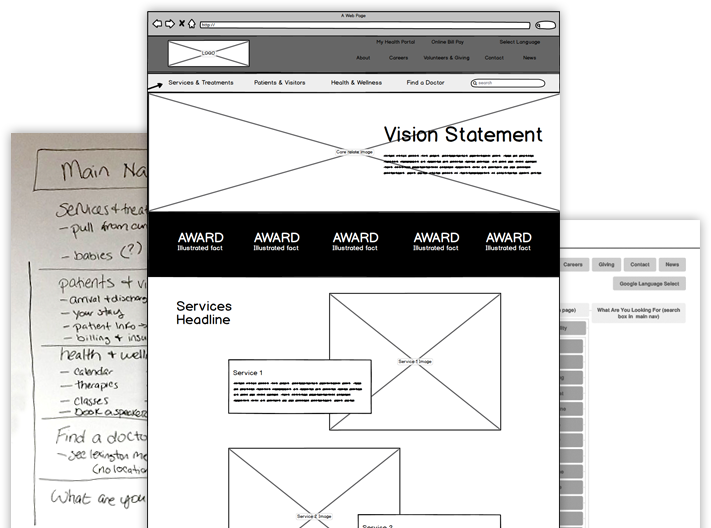 To help make it less intimidating, we divided Newberry Hospital’s website into four major categories. This simplifies the search process and underscores Newberry Hospital’s welcoming, progressive atmosphere. 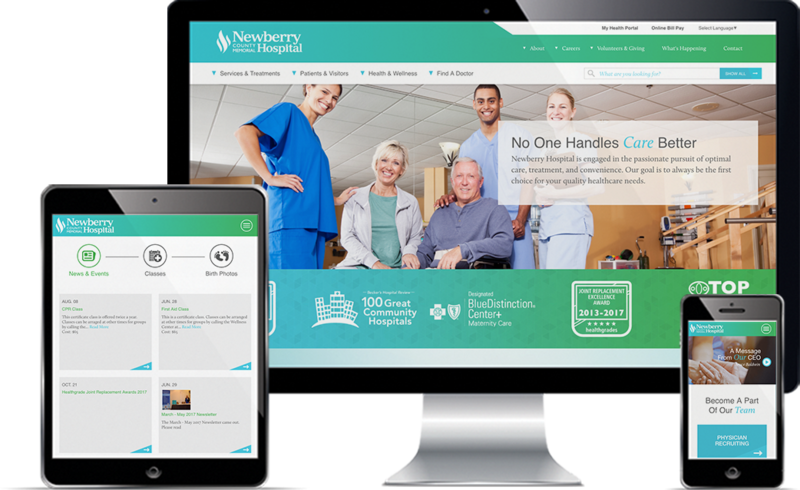 The website’s unique functions exemplify Newberry Hospital’s dedication to applying innovative techniques to best serve its customers. 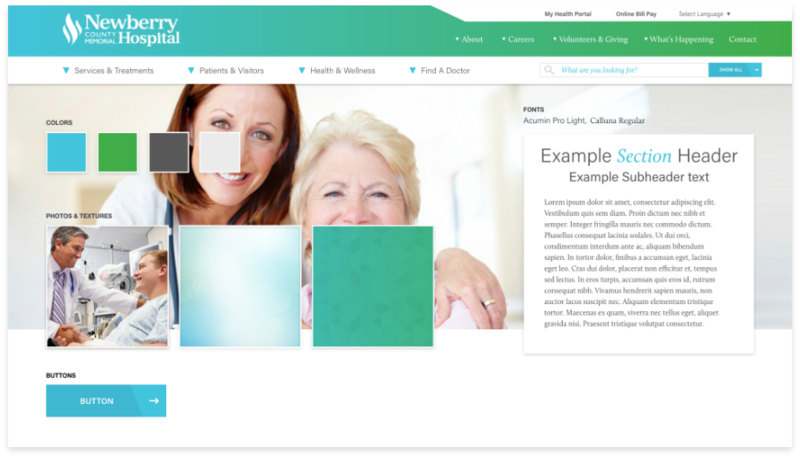 Paired with the vibrant, lively design of the site, visitors can easily see that they’re being treated by a progressive, caring medical institution. Together with Newberry Hospital’s marketing director, we envisioned an effort to elevate Newberry Hospital above other county hospitals in South Carolina. The strategy focuses on what Newberry has always done best: serving people. Soft textures, bright colors, and beautiful pictures evoke Newberry Hospital’s image as a friendly, healing, and comforting place. Newberry’s website pulls together everything that makes the hospital great. Its gentle, caring environment shines through as the user is effortlessly guided through the site, and highlights of recent awards and accomplishments inspire confidence in the staff and facility.